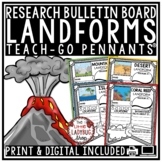 Continent and Landform Research Report BUNDLE! 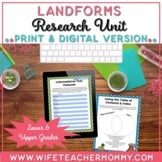 Landform Research and Poster Project! 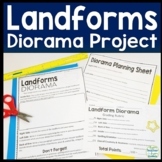 This is a landform research activity that can be used in cooperative groups to deepen learning. 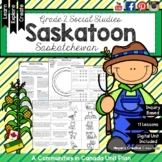 A rubric is attached for students to track their progress. 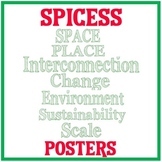 In this mini-research project, students will use qr codes to look up and answer 5 questions. They will also draw 4 detailed scenic pictures of different landforms. The preview page is a student sample. This template is clear and easy to use. 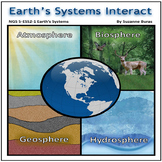 It focuses on text features and can be used to report on a variety of different landforms. 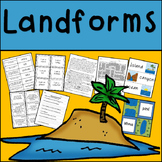 Use this already made graphic organizer for students researching a specific landform. The second sheet is place where your students can draw a picture, with the end in mind, of what their landform clay project will look like. Use this organizer to assist students in their reasearch on various types of landforms. Landforms Project: Decorate a Shoebox Diorama for any U.S. or World Landform!